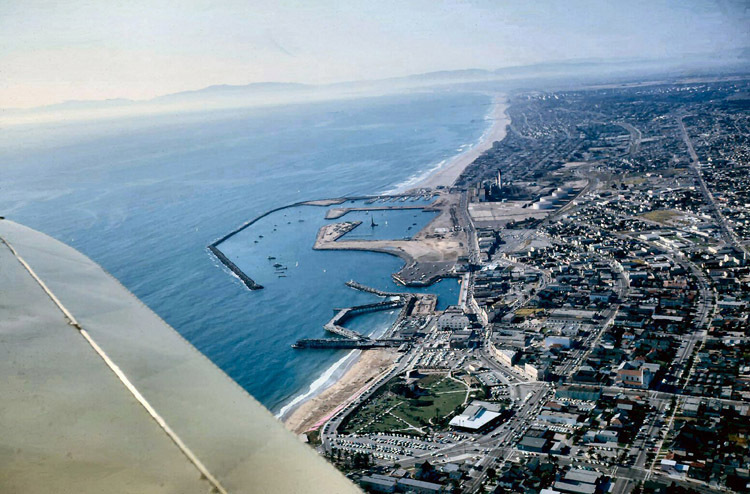 MCHS '60 grad Roger Anderson, a lifelong aviation enthusiast, took these spectacular aerial photos of the South Bay area as a young pilot about 1962. Check out the familiar landmarks that aren't there yet--and the ones that are. 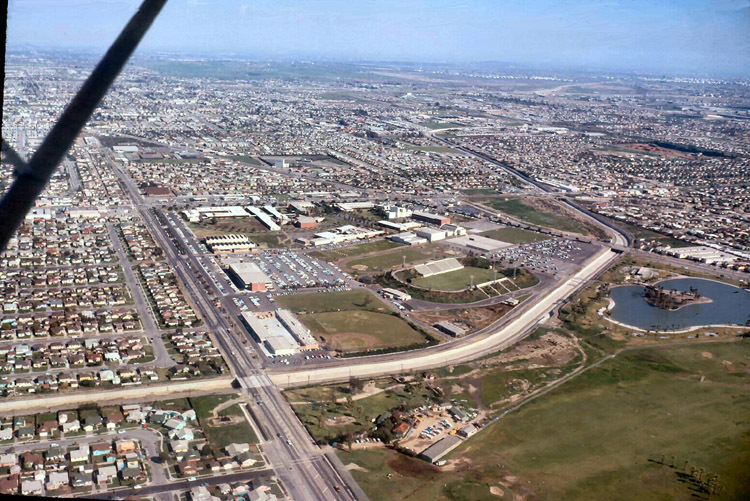 Mira Costa High School and its neighborhood, circa 1962. 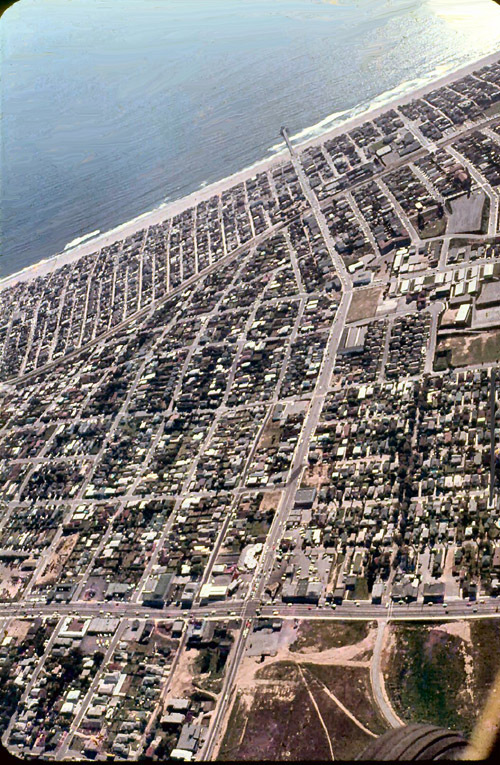 Downtown Manhattan Beach: some things haven't changed much... 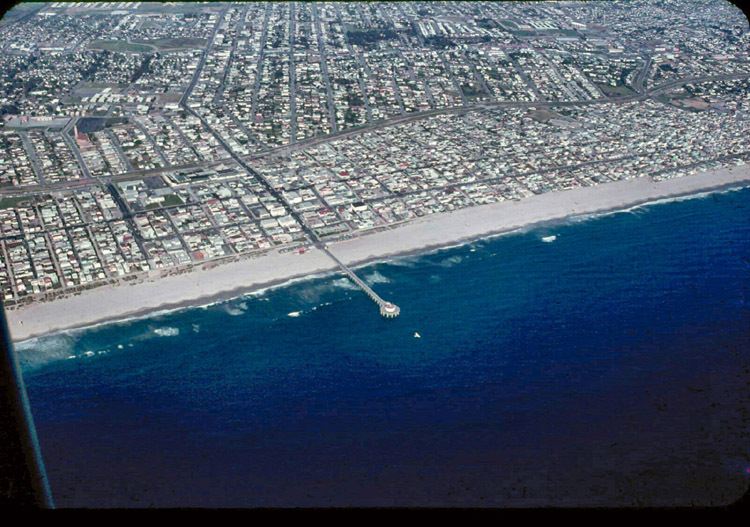 But here's a question: the folks down in the Orange County town that claims to be "Surf City, USA" rebuilt their pier after the "El Nino" storms of 1982-83. Where do you suppose they got the idea for their new design? Imitation is the sincerest... etc., etc. 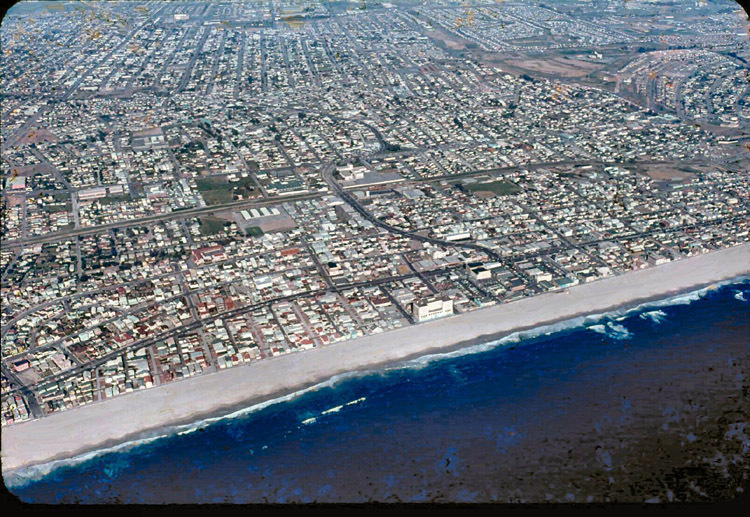 Can anyone spot his/her house in this one? 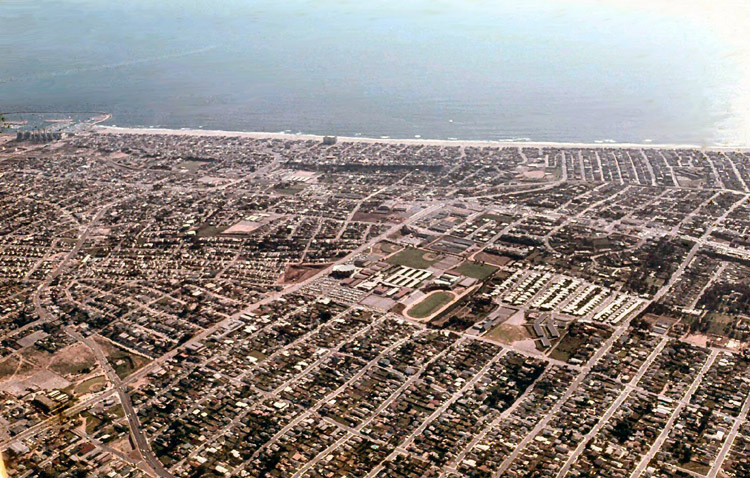 Hermosa Beach about 1962: Can you think of any landmark that isn't there yet? 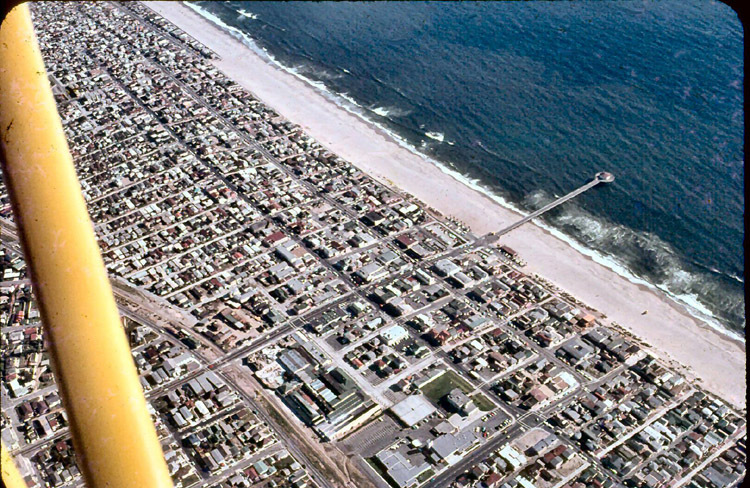 Here's another view of Hermosa Beach. No, Roger didn't airbrush out any major structures. 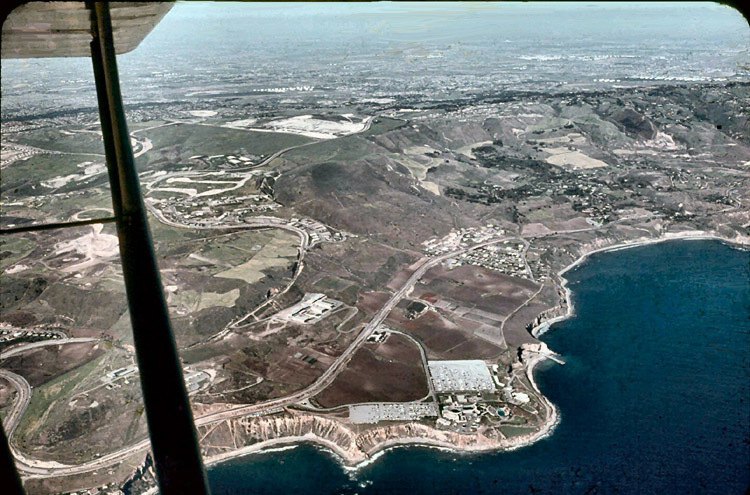 Here's an interesting view of King Harbor, the bay and the Santa Monica Mountains. 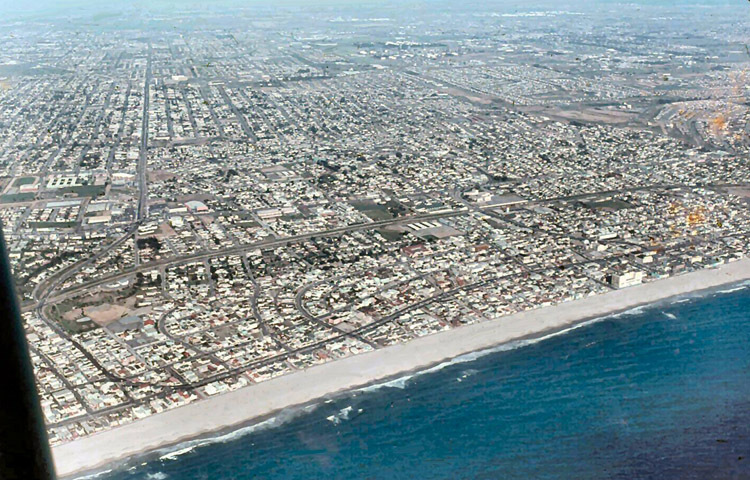 Can you believe that Palos Verdes looked like this in 1962? 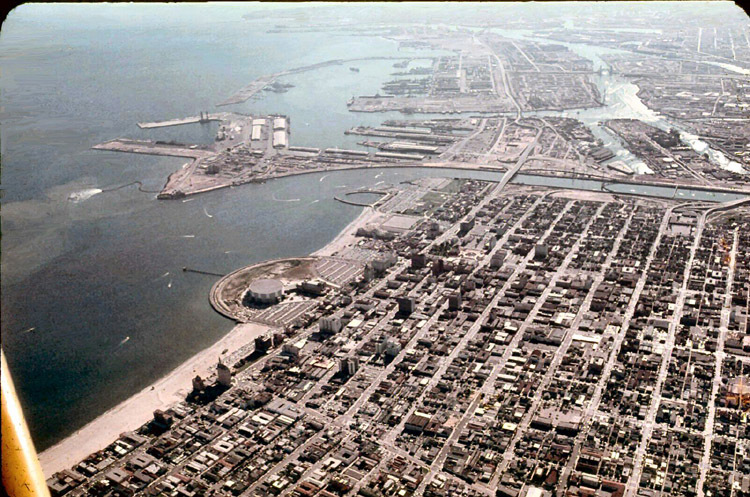 This is Long Beach as it appeared in 1962. Can you think of something that's missing? Hint: it's LARGE. This is El Camino College at a time when many of us were students there. Um, where's Marsee Auditorium? Maybe it didn't exist because Stuart E. Marsee was still the president of ECC and was often seen walking across campus with his red hair flying in the breeze. 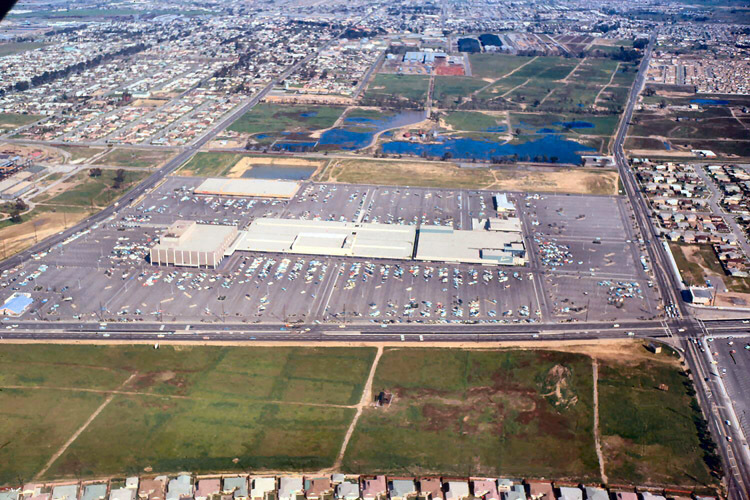 You'll never guess this one: it's Del Amo as it appeared in 1962. Don't get airsick after flying with Roger for this long! Here's the intersection of Sepulveda and Manhattan Beach Blvd. Does anyone recognize the school near the top of the photo? 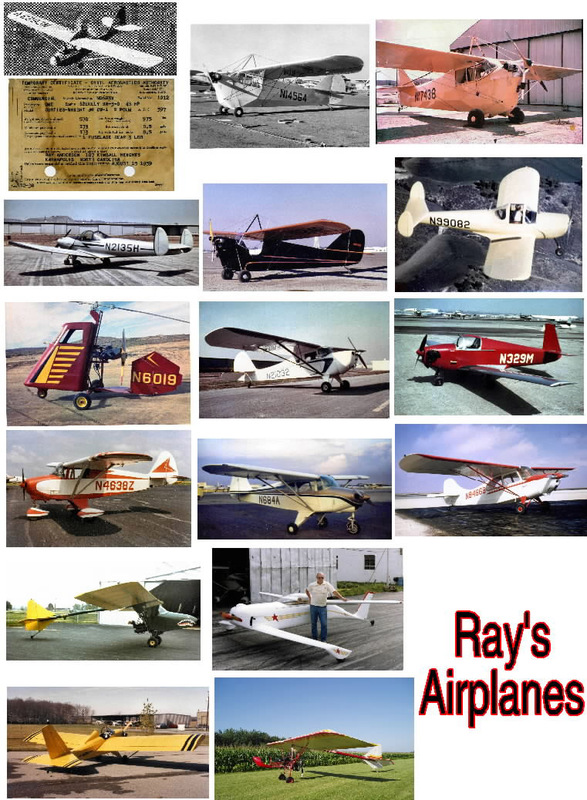 Here's a montage of the airplanes owned at one time or another by Roger's father, Ray Anderson. Ray was flying ultralights (and riding a motorcycle) until shortly before he passed away near age 90. Roger flew his father's last ultralight a few more times, then reluctantly sold it at his mother's request. But Roger still has his own airplane, shown elsewhere on the MCHS60 website.